My kids and I spent a lovely few days in the southwest part of France last week, but it certainly didn’t have much to do with the weather. We arrived at six o’clock Tuesday morning in Foix to cold, gray, foggy skies. The weather didn’t improve much over the next few days, but as I told the relatives we were visiting, We came for the people, not the weather. We had a great time anyway, and the crummy weather even helped me learn a few related vocab words (e.g. brouillard = fog). And even though the climate might have been a tad disappointing, somehow the misty gray skies added to the fairytale enchantment of the ancient villages. On the last evening of our visit, the skies began to clear enough for the cloud ceiling to lift–just a bit. 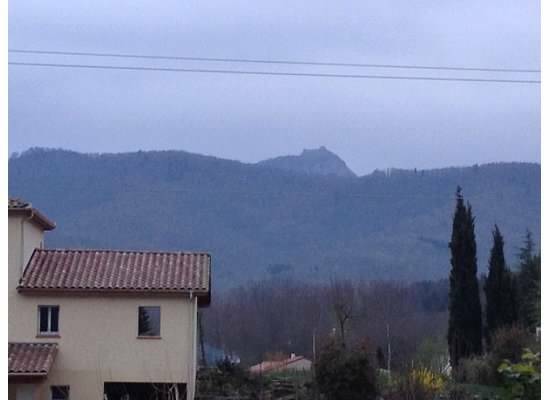 From my cousin’s house, we could see the ruins of Montségur, its perch on a 3000-foot summit of rock previously shrouded in the ever-present brouillard. Somewhat satisfied, I assumed the show was over. 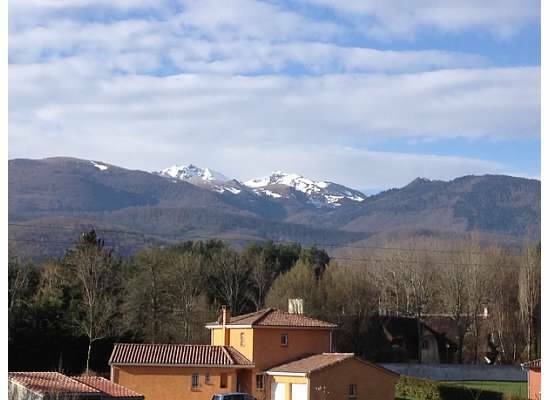 I magine my surprise when I awoke the next morning to brilliant sunshine, bright blue skies, and…snow-capped mountains. I felt as if the heavens had opened and unwrapped a gift for me. 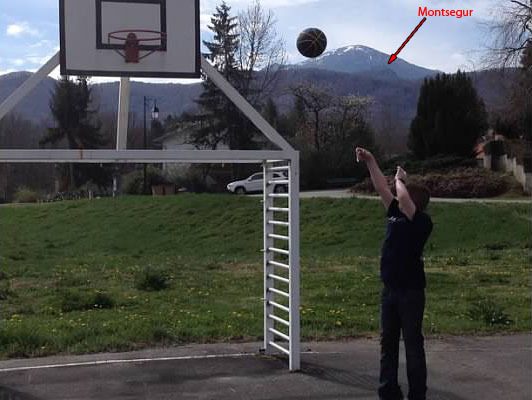 Montségur, which had seemed to be the highest point in the distance, was dwarfed by the Pyrenees peaks behind it. Those peaks had been there all along, but circumstances had blinded me to them. What else have I missed?